As the sun rises on this 8th day, the Investigators all gather around one another. Did the nurse protect the correct person? or Did the Evil Witches take out the nurse? Donna starts to glow, after a minute of looking frightened, she stops glowing, only to find she cannot talk. 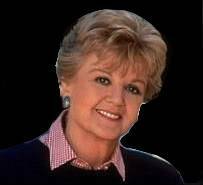 JESSICA FLETCHER! Jessica then dissolves into nothing, being cast into oblivion! With Jessica gone, we lose Mandie! Down to the final four. One Witch remains, one Nurse, and two investigators. Time is running out, which side will win! Okay, now down to final four.. might be smart to come out as the nurse so we can off the other witch and win this game!!! Oh wow final 4 this is getting interesting . I would like to apologize for voting for Cam last round . He was my 3rd suspect after Zack and Dj and i guess i was wrong in that one . Now why in hell would they silence Donna again ? Hmmmm i think its time to look at previous posts and thats what i'm doing . Lets do this guys we can still win. Alright so here is what i noticed about all the rounds . Everybody left has voted for a witch so far . Kiwi did , Stacie did , donna did and i did too so as right now just because we voted for a witch that does not mean we are innocent a mean its obvious that we are not . Now i did noticed that when Zack got eliminated kiwi was the last member to cast his vote against him . Now kiwi i have a question for you . Was that because you didnt have another option and you saw that everybody was voting for Zack or was it because you knew Zack was going home anyways and that was the perfect plan for you to sacrificed a witch in order to make it far ? A mean i wouldn't judge you i think it was a smart move if you were a witch because no body has suspected about you and yes you did a killed a witch but a mean it was obvious that Zack was getting eliminated that round so it completely takes the target out of your back . Remember that at the end of the day you dont need the 3 witches to win this game it only takes 1 . Everybody voted for Dj Except for Kiwi . What happened why didnt you vote for DJ ? throw us off the path ???? that bother's me is why were you silenced in the first round ???? If you guys think about that... you had enough reasons to killed amanda because you thought she was innocent . Then you took advantaged of me voting for Cam to jump and vote for him as well . It was the perfect chance you had to eliminate another innocent person and once again you kept bringing up why Donna was silenced ? Like Honestly i think that all you wanted was make people think that you were trying to solve something to get the target out of your back . Kiwi out of everybody left i think that you are the most suspicious one and i hope to be wrong but my gut is telling me that you are the last witch . Am i right or wrong ? the nurse . Yes thats right i didn't want to revealed my self sooner because i knew i was gonna be a target . Now there are only 2 investigators left and a witch . Please guys revealed your self . Lets get this done . I am a plain investigator. I think your theory on Kiwi is interesting and definitely worth looking into. That would mean, Donna is the other investigator. Since you are the nurse, Santos, whom have you been saving? I save Amanda a lot of times because she was the only person i trust the most and i knew she was not a witch but once i didn't save her she got eliminated . Ah I see. Okay well... what do you guys think? Y'all wanna go ahead and vote for KIWI? I'm up for that. Hopefully that's the last witch, and we can win this thing..
*Edited because I had the wrong name. I'm a dork... name changed! I totally meant Kiwi!I Sorry.. HAHA! if you look back on the voteing history its all there in black and white right from day one, yes i have got my voted wrong on 2 occassions ( sean and cam) but if you look at donna and stacies history not once have they asked questions to other players they have just been happy to jump on the bandwagon and vote who ever was on the chopping block. i on the other hand am not afraid to get in there and ask questions like a good investigator should. Well, I'm not a witch, and it seems quite odd to me that you would tell someome to protect themselves if you go... you are the witch. Glad I guessed right! *Edited for my grammer mistake.. I accidentally put is instead of if... I fixed it! sorry if i am wrong but as right i do think you are the last week .